On Nov 24, 2012, around 1:15 p.m the "Taccola" was hit by the cargo m/v "Telamon" which had previously already run into the ferry "Nordenham". The ferry suffered a dented bulwark and damaged mooring bollards, one female fell and had to be hospitalized with, however, minor injures. The "Telamon" which was loaded with wind turbine components suffered damage to hull and superstructure. 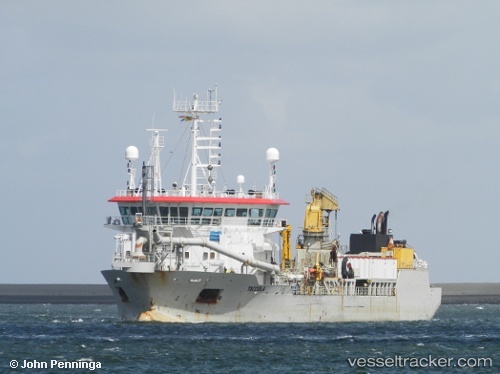 After the vessel was ordered to anchor it contacted anchored the "Taccola" which was working off Bremerhaven.